After the intervention, the participants experienced positive changes in short- and long-term physical and mental health, including significant improvements in their cardiovascular fitness and flexibility. In addition, they achieved modest but significant reductions in their weight and body mass index, and their hot flashes were effectively managed. 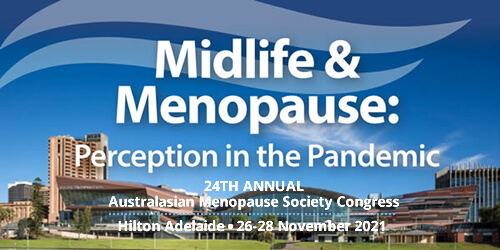 This is especially good news for women who are reluctant to use hormones to manage their menopause symptoms and are looking for safe but effective nonpharmacologic options without adverse effects. This study explored the multidimensional outcomes that resulted from the adherence to regular exercise among previously sedentary postmenopausal women. The exercise was managed through a supervised, multicomponent, adapted approximately 20-week program in a suited health promotion intervention. A multigroup, mixed-design study with between-group (intervention, sedentary, and active women) and within-subject measures (baseline, postintervention, and 3- and 12-month follow-ups) was conducted using intention-to-treat methodology. The Cervantes Scale assessed health-related quality of life (HRQoL), and several indicators of cardio-metabolic status and fitness were also assessed. After the intervention, the participants experienced positive changes in short and long-term physical and mental health, with significant enhancements in several HRQoL dimensions, particularly mental well-being and menopause-related health and subdomains. Improvements were maintained or continued (eg, mental well-being) throughout the period, leading up to the 12-month follow-up. These outcomes were accompanied by significant improvements in cardio-metabolic status and fitness, including weight, body mass index, cardio-respiratory fitness, and flexibility. Our findings parallel previous empirical evidence showing the benefits associated with regular exercise, and add evidence to the association of positive outcomes in HRQoL with improvements in cardio-metabolic health and fitness status after the adoption of an active lifestyle.